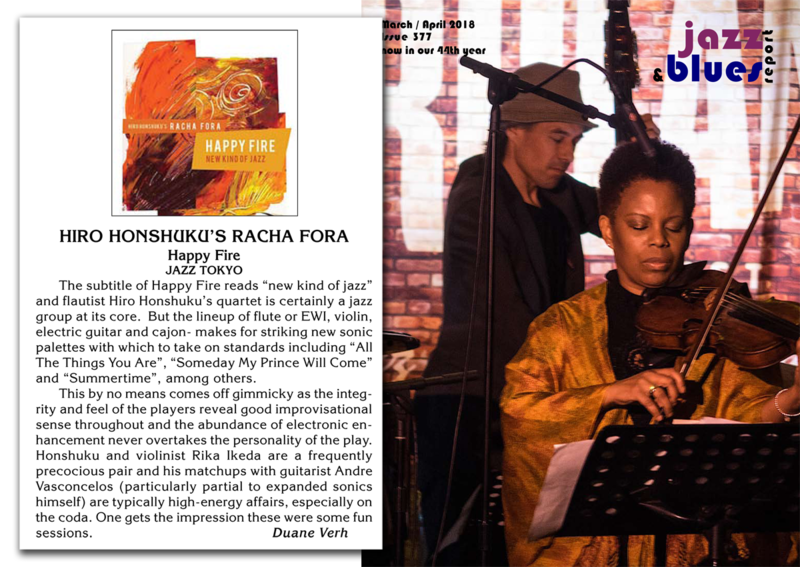 The subtitle of Happy Fire reads “new kind of jazz” and flautist Hiro Honshuku’s quartet is certainly a jazz group at its core. But the lineup of flute or EWI, violin, electric guitar and cajon- makes for striking new sonic palettes with which to take on standards including “All The Things You Are”, “Someday My Prince Will Come” and “Summertime”, among others. This by no means comes off gimmicky as the integrity and feel of the players reveal good improvisational sense throughout and the abundance of electronic enhancement never overtakes the personality of the play. 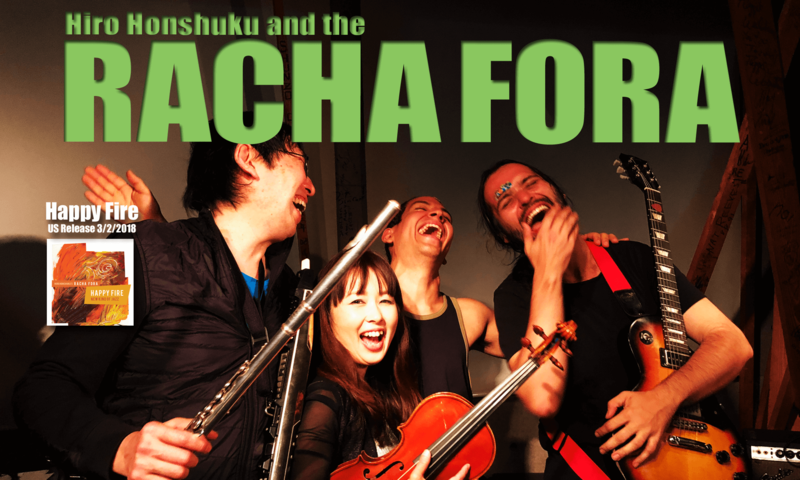 Honshuku and violinist Rika Ikeda are a frequently precocious pair and his matchups with guitarist Andre Vasconcelos (particularly partial to expanded sonics himself) are typically high-energy affairs, especially on the coda. One gets the impression these were some fun sessions.